Alastair Bruce is the author of the critically acclaimed novels Wall of Days and Boy on the Wire. A South African by birth he grew up on a smallholding outside Port Elizabeth and in the city of Cape Town, where he attended the University of Cape Town to study literature. He now lives in a tiny village in the United Kingdom, works in London in digital media and is currently writing his third novel. 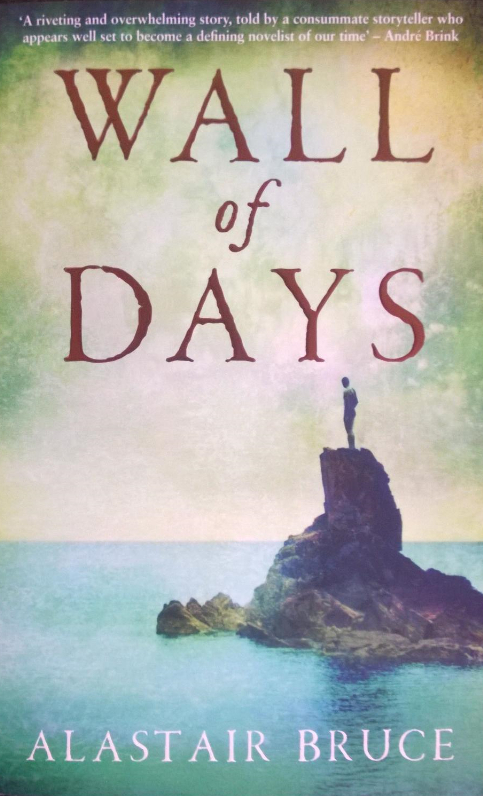 Wall of Days was first published in South Africa in 2010 and the UK in 2011. It has been translated into German and published as Die Wand der Zeit in 2012, and into Spanish as Marcas en la pared in 2018. Wall of Days was shortlisted for Amazon Rising Stars 2011 and finished as runner-up. It was also shortlisted for the Best first book in the Africa region for the Commonwealth Writers’ Prize. In a world all but drowned, a man called Bran has been living on an island for ten years. He was sent there in exile by those whose leader he was, and he tallies on the wall of his cave the days as they pass. Until the day when something happens that kindles in Bran such memories and longing that he persuades himself to return, even if it means execution. His reception is so unexpected, so mystifying that he casts about unsure of what is real and what imaginary. Only the friendship of a child consoles him as he retraces the terrible deeds for which he is answerable, and as he tries to reach back, over his biggest betrayal, to the one he loved. Wall of Days is a moving parable about guilt, loss and remembering. 'Wall of Days is a brilliant debut novel, in fact it is a brilliant novel altogether. The prose is understated and clear, and the narrative arc buries complex ideas of guilt and accountability within simple events' (Cape Times)"